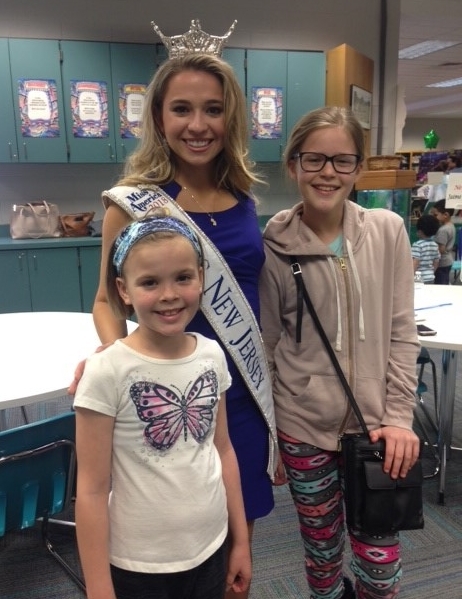 Photos submitted by Debbie Brahmi/Miss NJ Jaime Gialoreto with members of the Junior Honor Society. 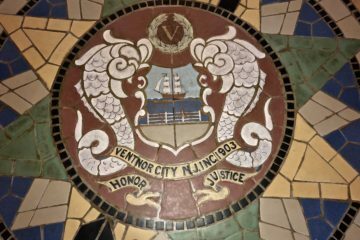 VENTNOR – Students and their families gathered at the Ventnor Educational Community Complex Wednesday, April 10 for the Scholastic Book Fair Family Night and the annual Educational EXPO. Parents shopped with their children for books and educational toys and enjoyed light refreshments in the Ventnor Middle School Library. Student artwork and class projects were on display in the cafeteria, allowing students to show off their best work to family and friends. 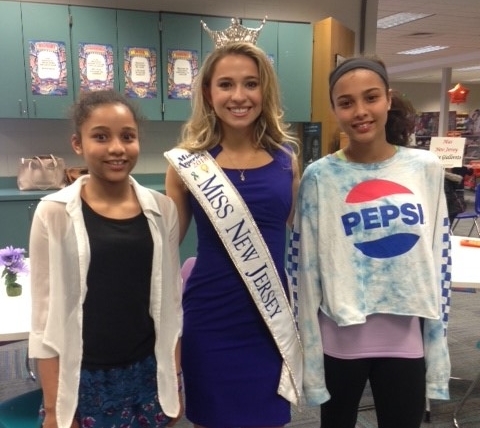 Special guest Miss New Jersey 2018 Jaime Gialloreto of Woolwich Township welcomed visitors, signed autographs and posed for pictures. Gialloreto, who is majoring in communication at Loyola University, discussed her platform, “Don’t Get Nutty: Food Allergy Awareness.” She stressed the importance of creating a safer and more inclusive environment for the 15 million Americans living with food allergies, and the importance of the three A’s: Awareness, Avoidance and Action.